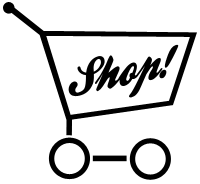 Shop Handmade is a great way to sell your crafts or craft supplies online. You can also sell all kinds of vintage things too! The best part is you can list your handmade items for free. This is possible because they have sponsors that will pay the listing fees for you. They conveniently pay you through Paypal when you sell your item. They also do full page advertising in major magazines to help drive people to their site. I think this is a great way to make some extra money. I am an Etsy seller, but I am signing up for another outlet to sell my things.